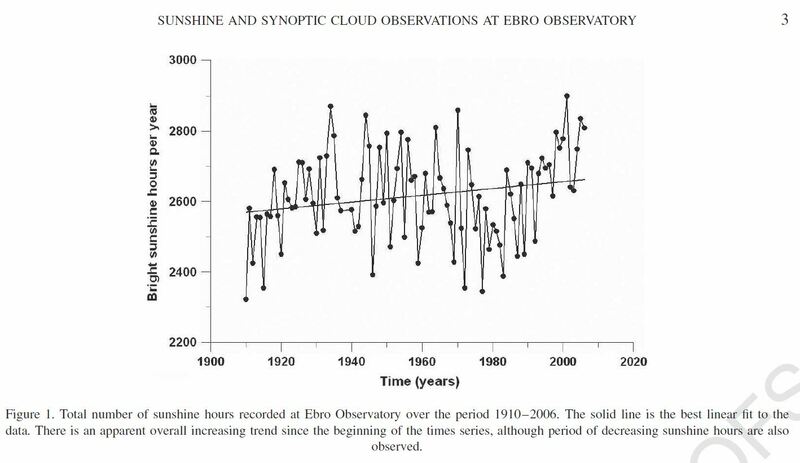 In 2008 a paper was published called “Short Communication – Sunshine and synoptic cloud observations at Ebro Observatory, 1910–2006” by J. J. Curto, E. Also, E. Palle and J. G. Sole. I managed to download a copy. 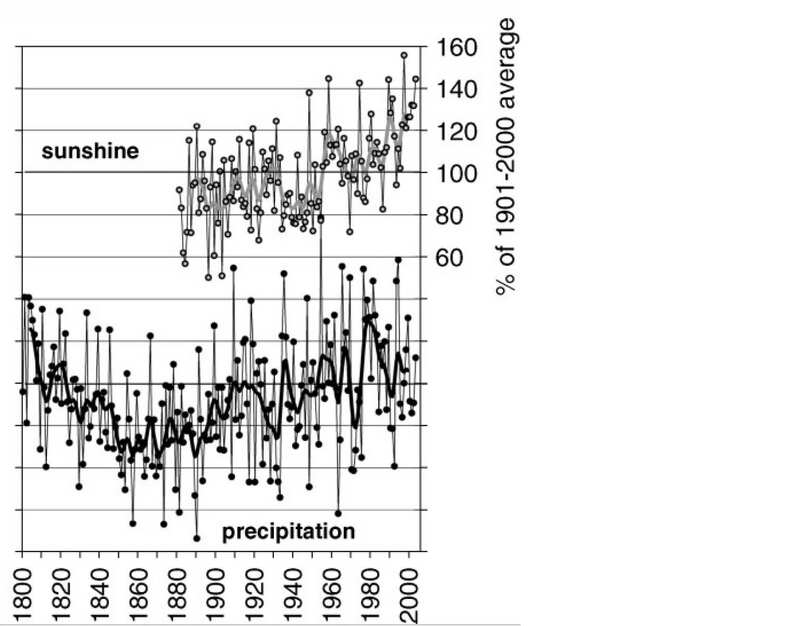 The following graph is of sunshine measured from an Observatory in Spain. If you weren’t paying attention you might think it is a graph of GISS or HADCRU temperatures … right?